I’ve been to the White House before. I’ve nibbled on Christmas cookies in the East Wing during the Clinton administration, rolled Easter eggs on the South Lawn during the Bush years and, once, peered into the void as the door to the Situation Room briefly swung open during a West Wing tour with an Obama staffer. I didn’t see anything, by the way. I tried. Today I got an email with the subject line Cabinet Meeting. I swear to God I thought it was from the White House. Not lying. And I’m looking at it and wondering why they’d send it to my personal, versus work, email. Yeah. That was actually my first thought. Not a recognition that it would be highly unlikely–like impossible–that I’d have anything to do with a Cabinet meeting. Of course, it wasn’t from the EOP (that’s an insider’s way to say the executive office of the president). 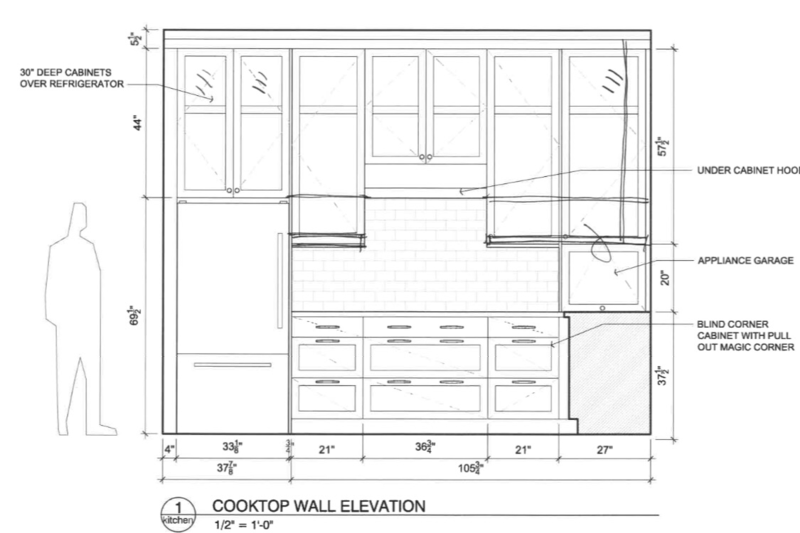 Of course, it was to set up a meeting to go over cabinetry and to walk through the updated kitchen elevations–the ones that freaked me out last week. I mean seriously. The cabinets are going in the East Wing of our house–in the Residence, not in the West Wing. Sheesh. One of the pre-identified risks in this project is the possibility that I will not stay married. A disruption of this magnitude could fray the loosely woven cloth, nay, the net, of our union. At our core, the Spouse and I are incompatible. 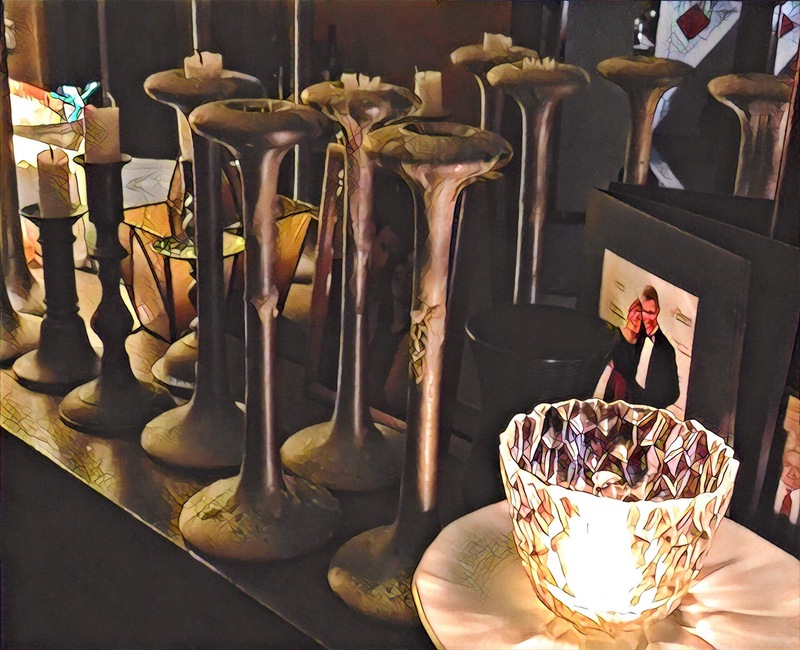 To get this particular project moving–this project that has sat simmering, fermenting, fomenting and even festering for nigh on a generation–I extracted a promise. It was really quite clever of me. I asked that for my birthday present, the Spouse would give me boss status on the project. Final say on any disputed decision. It was helpful that we were at the beach, that there was a post-sun beer or two and a lovely bottle of red that we drained along with grilled sea and farm fresh fare. With the Beast splayed on the cool tiles of the oddly large and mildly dysfunctional rental kitchen, his baleful hound dog eyes tracking the slow merry-go-round of the ceiling fan and with the red sun flaming the window over the sink (with a view of a yellow brick corporate mall that included the Piggly Wiggly) signaling the end of my birthday, a “yes” was extracted. Yesterday we saw the kitchen elevations. And I wasn’t blown away. I was a little surprised. I thought that I would hear choirs of angels. Nope. No celestial movement. It was the great white wall. A wall of cabinets that stretched to the very top of our ten foot ceilings. A great wall of white that ensconced and cocooned the rangetop. I railed against it. I was Ahab who needed to destroy that great white monster. Working with the architect, we moved some storage blocks off of the counter. We replaced some closed cabinets with open shelves. We decided that the bottom cabinets would not be white. It was a great solution. We picked out some stuff, scheduled the next meeting and went about our day. But still, I wasn’t settled. After work, I walked into the kitchen and imagined the storage space at the top of the room. What would I put in those cabinets? I’d need a real ladder to reach them. I stretched my hand above my head, as far as I could. I opened the current cabinets and stood on my tippy toes. I could barely touch the third shelf of these low ones. I could neither see nor touch anything in the back. I looked up to the ceiling again. It looked like a shear rock wall that I had no idea how to summit. I felt closed in. I felt claustrophobic. I shook off the future kitchen plans and turned to the current meal plan. 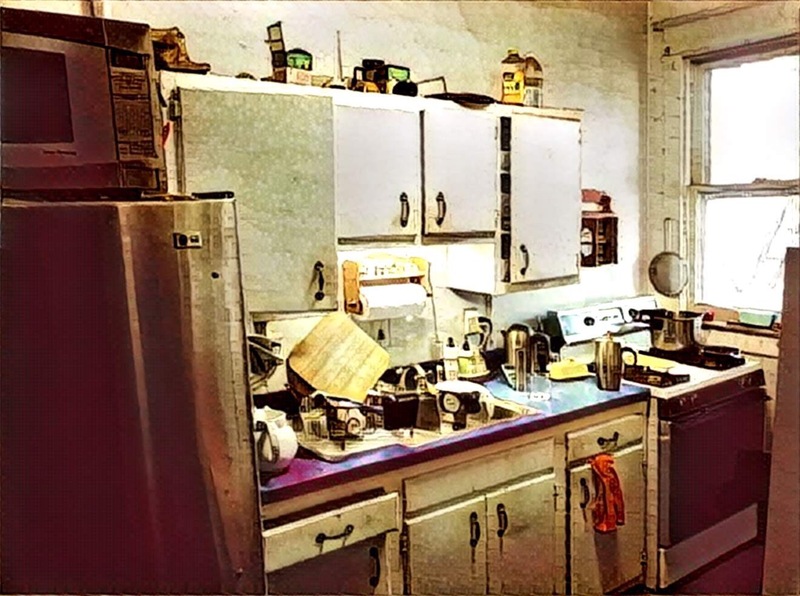 I worked on getting dinner together in my borderline decrepit kitchen. It was comfy. Most everything was in reach–mostly because the footprint was confined. Stuff was either right there or not in the room. But still, it was manageable. I was managing. I plated the arugula, topped it with the burrata and scattered halves of heirloom cherry tomatoes and a few red onion strings around the mound of cheese. I crushed black pepper over the top and rained sea salt. I sliced the leftover roasted chicken and placed it on the other side of the plate. I drizzled a lemony pesto sauce on the chicken and finished the burrata and arugula with olive oil and a drop of the good balsamic. The Spouse and I sat down to eat. I poured the wine that he had opened. I said that I wasn’t sure about the big wall of white. The Spouse said that he was surprised when I didn’t object to the enclosed exhaust hood. He was surprised because when I showed him images of what I liked, a hearth surround was not on the list. 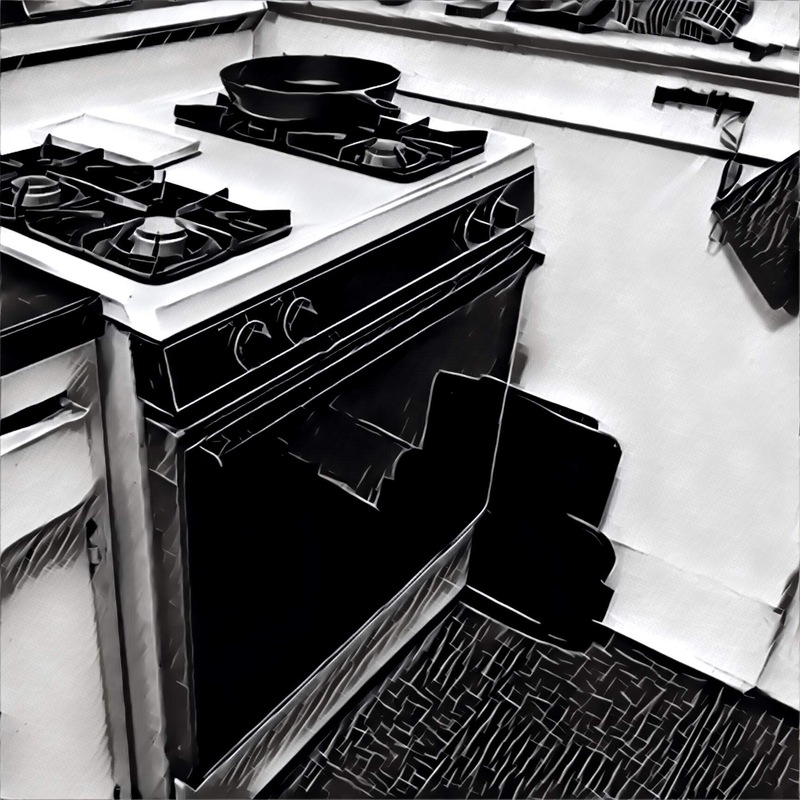 In fact, he noted that I liked the clean lines of an exposed stainless steel hood reaching to the ceiling and disparaged the hearths fashioned to look like a pizza oven or a fireplace. He knew this because when I swiped through dozens of pictures that I amassed online, those times when I thought his nodding head was a signal to move along, he was actually paying attention. And that his nods indicated that he understood. Now I saw the white monster in its true form. It was the closed-in range. 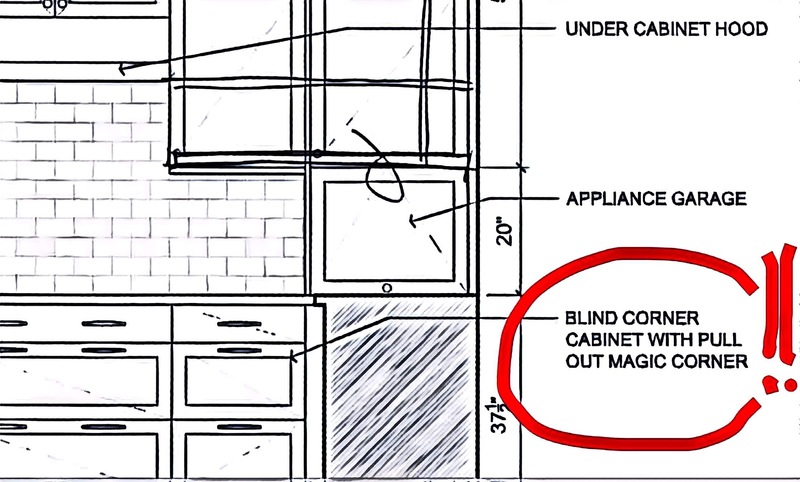 I wanted freedom to cook and create, but the design of the cabinetry was closing in. But here’s the thing. I didn’t know he was listening. But he was. And he fixed it. What a dope. Me, that is. So, really, the secret to our marriage is that we are incompatible. At least that’s what I say it is. And I’m in charge of this project.